FOXBusiness.com’s Kate Rogers sits down with Moe’s Southwest Grill President Paul Damico to discuss growth, quality control and how ObamaCare stands to impact the brand. It may be the ‘baby brother’ in the Mexican fast food category, but if recent trends continue, Chipotle and Qdoba are in for some intense sibling rivalry. Moe’s Southwest Grill is opening up one new location across the country every five days, and recently beat out both Chipotle and Qdoba in Technomic’s Consumer Restaurant Brand Metrics Report in the Mexican restaurant category. The survey evaluates brands in service and hospitality, unit appearance and ambiance, food and beverage, convenience and takeout, and value. 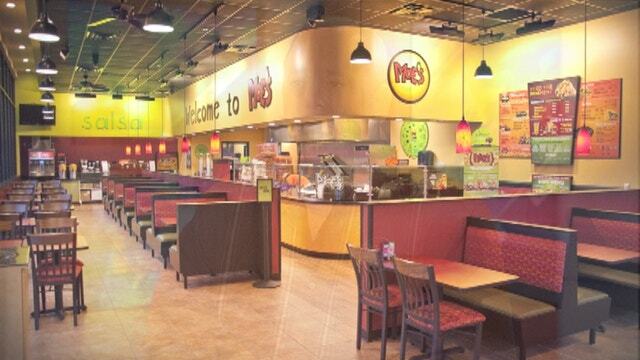 Moe’s may be growing fast, but the franchise has planned for this type of expansion, according to President Paul Damico. After hitting its 500th opening this week, it is moving right ahead with deals for an additional 400 restaurants in the works to be opened over the next several years. The brand has nearly 200 franchisees across the country, each with an average of 25 employees per location, and of course, they have ObamaCare on the brain. Even though single stores may have fewer than 50 employees, those franchisees with multi-store deals will likely be subject to the employer mandate of ObamaCare—offering insurance or paying a $2,000 penalty per worker, per year. But the health-care overhaul isn’t holding potential franchisees from moving forward on inked multi-store deals to avoid hitting the 50-employee threshold, Damico said. The bigger issue for Damico and Moe’s is finding real estate. While it’s not an availability issue, Damico says there is a ton of competition. But it’s the freshness and quality of Moe’s products that is allowing it to stand out in the crowd, Damico said. Compared with the competition, he said Moe’s is more family-friendly and kids meals are all made from the same hormone-free dairy products and cage-free chicken in 100% of its stores. Meanwhile, shares of Moe’s competitor, Chipotle Mexican Grill (NSYE:CMG), have rallied close to 30% in 2013. But at this point, Moe’s has no plans to go public, Damico said.